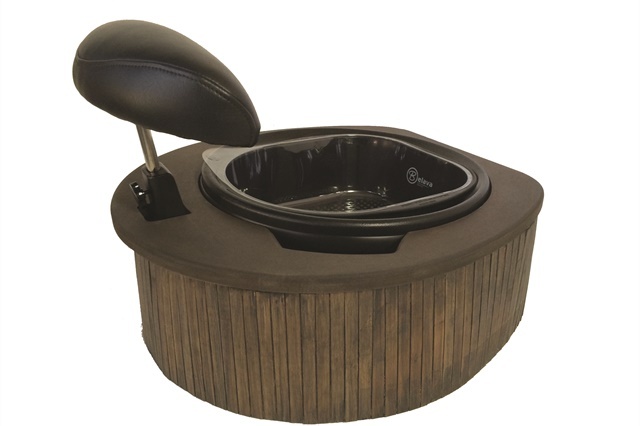 The Belava Rolling No-Plumbing Footspa brings a versatile built-in look to any salon or spa. Made from naturally moisture-resistant bamboo, it utilizes the sanitary pedicure system that Belava introduced in 2004. It features the Trio Foot Spa with built-in heat and vibration and a wheel locking system for stability, with an adjustable footrest in black. For more information, visit Belava.